Dr. Kathy Dowd, AuD received her undergraduate degree in French Education from Spalding University, Masters in Audiology from University of Louisville and Clinical Doctorate from Salus University. Her background in Audiology over the past 39 years is varied: educational audiology at local and state levels, as well as private practice in ENT and proprietary clinics. For the past five years, Dr. Dowd has worked to raise the awareness of chronic disease and ototoxic medications causing hearing loss by instructing diabetes educators, optometrists and audiologists nationally about this silent unmet medical need. In April 2016 her advocacy efforts moved the Centers for Disease Control to consider a recommendation for hearing testing to the patient guide: Take Charge of Your Diabetes. Dr. Dowd is heading the advocacy and collaboration of Audiology organizations in setting clinical guidelines for patient care in the area of chronic and infectious diseases. Joanne Rinker is a Master’s level dietitian. She has her BS and MS in Human Nutrition from West Virginia University. Joanne has been a Registered Dietitian and certified diabetes educator for almost 20 years. Currently Joanne is the AADE Director of Practice and Content Development. In this role, she works with member professionals as the liaison to the Professional Practice Committee (PPC). The PPC revises and writes Position Statements and Practice Documents in support of the profession. Additionally, Joanne leads the Favorably Reviewed initiatives, is the staff liaison for the AADE Annual Meeting Planning Committee and is the staff content expert. In 2012, Joanne was named the American Association of Diabetes Educators (AADE) 2013 Diabetes Educator of the Year and used that opportunity to spread the word about the relationship between diabetes, hearing loss and depression. She served on the AADE Board of Directors 2015-2017 and became an AADE Spokesperson in January of 2016. Victor Hugo Bray, Jr., PhD is an Associate Professor and former dean (2009 – 2016) of the Osborne College of Audiology, which is one of the four graduate-level colleges of Salus University. Prior to accepting his appointment as dean, Dr. Bray held the positions of Director of Clinical Research for ReSound Corporation, developing advanced analog signal processing hearing aids, and later Vice President and Chief Audiology Officer for Sonic Innovations, developing advanced digital signal processing hearing aids. While at Sonic Innovations, his roles included Vice President for Quality Systems, which included global Auditory Research, global Regulatory Affairs (ISO 9000) and USA Quality Assurance. While at Salus University, he continued his research in product development as Vice President and Chief Audiology Officer of OtoKinetics. Dr. Bray was a co-founder, treasurer, and three-time president of the Scott Haug Foundation. Dr. Bray is the founding and current chair of the Audiology Academy of the National Academies of Practice (NAP) and the treasurer-elect (2017-2019) for NAP. He is leading an Audiology Project team in writing a white paper on Diabetic Ear Disease. Dr. Rachel A. Magann Faivre is an Audiologist and Adult Clinic Director at Hearts for Hearing in Oklahoma City. She earned her B.S. in Zoology at the University of Oklahoma, her Doctorate in Audiology at Northern Illinois University, and completed her clinical fellowship at Mayo Clinic in Minnesota. She is on the Board of Directors for the Academy of Doctors of Audiology and a fellow of the American Academy of Audiology and the Academy of Doctors of Audiology. An Oklahoma native, Dr. Magann Faivre’s areas of interest clinically are adult hearing technology, tinnitus and other sound sensitivities treatment, hearing protection, and business operations. She has a passion for being active in state and national audiology organizations, particularly concerning advocacy, patients’ rights issues, and teaching student leadership. She empathizes with patients when discussing hearing loss and is dedicated to creating a positive and integrative hearing healthcare experience so her patients leave informed and confident. Janet Brown-Friday has been a registered nurse for 36 years and is currently the Clinical Trials Manager of the Albert Einstein College of Medicine’s Diabetes Clinical Trials Unit (DCTU). At Einstein she manages the clinical and administrative operations of both National Institutes of Health and locally funded clinical trials. From 2002-2009, Mrs. Friday served as a committee member for the National Diabetes Education Program (NDEP) and was her work-groups Vice Chair and Chair during that period. From 2005 to 2008, she served as a special government employee and council member for the National Institutes of Health – National Institute of Diabetes Digestive and Kidney Diseases Advisory Council. 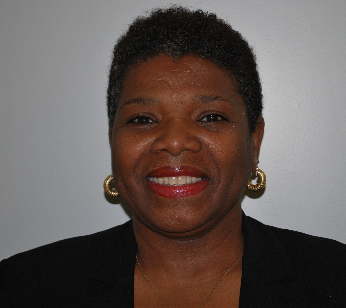 Mrs. Friday is currently a National Board Member for the American Diabetes Association. Her term ends December 31, 2019. Dr. Rodriguez is an Assistant Professor of Audiology and Resident Faculty in the Center of Brain, Biology, & Behavior at the University of Nebraska-Lincoln. She is also the coordinator of the Barkley Memorial Center, Dizziness and Balance Clinic. 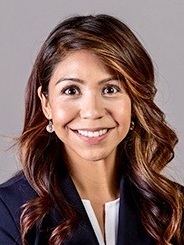 She earned her AuD (2014) and PhD (2016) from Texas Tech University Health Sciences Center and completed a 2-year vestibular post-doctoral fellowship at Boys Town National Research Hospital in 2018. Clinically, Dr. Rodriguez evaluates patients with dizziness and imbalance across the lifespan. She is also the Director of the Concussion and Vestibular Evaluation Laboratory, where her research investigates the vestibular changes post-sports concussion in youth and adults and the effects of vestibular loss on behavioral outcomes.